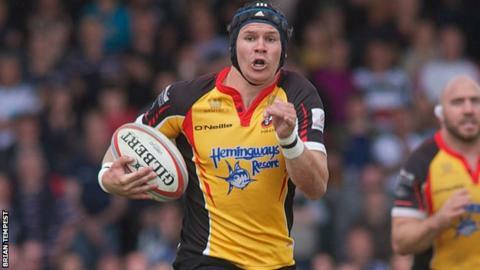 Rob Cook has re-joined Cornish Pirates on loan from Gloucester, in time for Sunday's Championship game with Plymouth Albion. The 28-year-old full-back left the Cornish club for the Premiership side in the summer. The former Nuneaton player will replace Grant Pointer, who dislocated his shoulder against Jersey last week. His goal kicking made him a firm favourite at the Mennaye, scoring 1,029 points in three seasons.